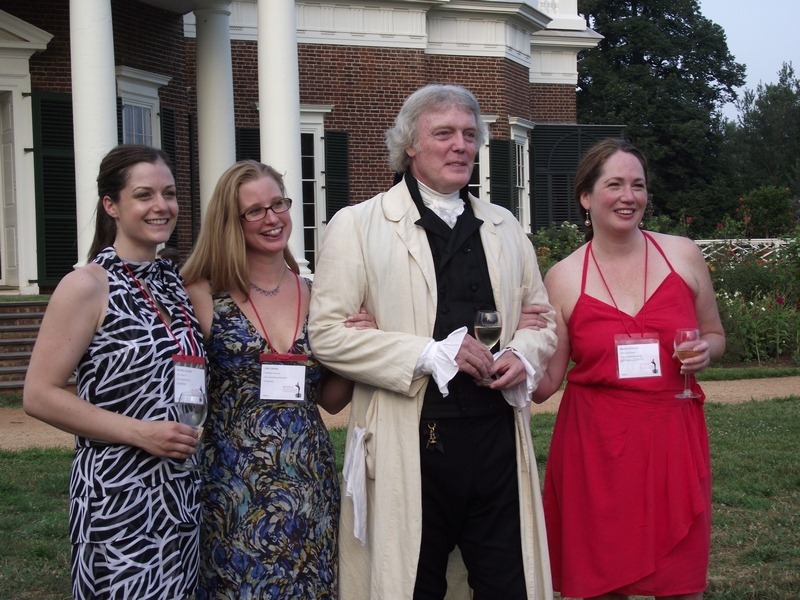 Thomas Jefferson had a strong love of wine (and beer), an historical tidbit that seems to have glued itself with more stickiness than an Rutherglen Muscat to our collective national legacy of our third President, right up their with tales of his intelligence, his elegant correspondences, and the fact that he finally checked-out on July 4th – U.S. Independence Day – in his eighties (and up to his eyeballs in debt). 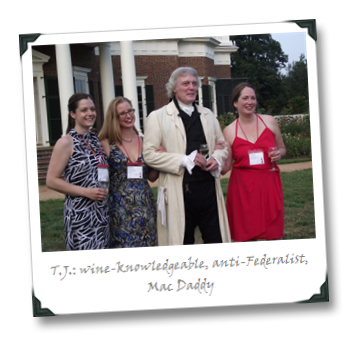 It seems ol’ T.J., in focusing on potential, lacked first president George Washington’s uncanny ability to see things for how they really were (at least when it comes to vino). 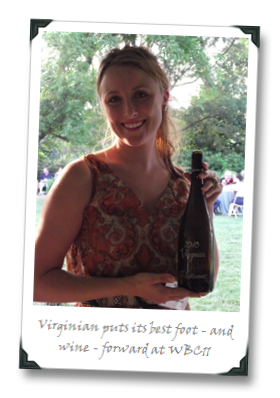 Because Scuppernong wine is like… well, let’s just say we can poke fun at most Scuppernong because it’s Scuppernong. Given the beauty of Jefferson’s Monticello estate, which was on full display (along with, less romantically, the oppressive Northern VA heat & humidity combo) at a mass-tasting of Virginian wines held there during the recent 2011 Wine Bloggers Conference, one might forgive T.J. for erring on the side of vinous over-optimism. 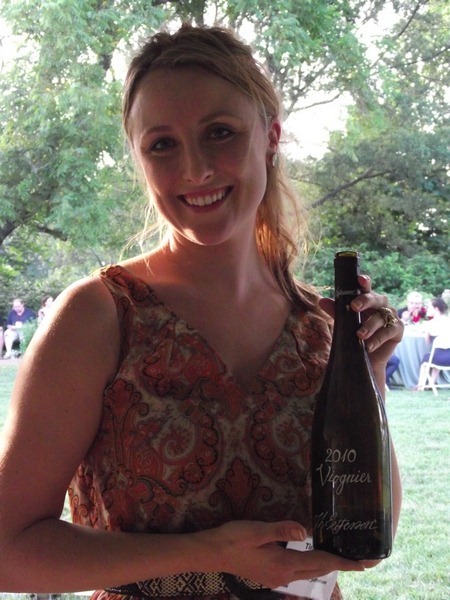 Given what I tasted that evening (even despite the mile-wide-inch-deep approach that is the bane of any grand tasting), the Virginia wine industry might be forgiven the odd bout of over-optimism as well, because the winemaking situation there is clearly on the right track, if not quite yet delivering fully on its promise as the next big thing in American wine. Ahh, T.J…. you were only off by about 194 years! But you were a total Mac Daddy with the WBC11 ladies (see inset pic for photographic proof), so maybe we shouldn’t hold it against you. As you read this, I’ll be fresh (or maybe not-so-fresh, after thinking about the stamina-melting temperatures, and lengthy after-after parties!) from the 2011 Wine Bloggers Conference – and after about 24 hours at the homestead, immediately off to Lake County, CA where I’ll be a judging in the 2011 Lake County Wine Awards Competition. The deal goes down on July 28 at Brassfield Estate Winery in Clearlake Oaks (gotta love town names that make multiple bucolic references!). It will mark the first time that I’ve been in any way involved in an area’s sesquicentennial celebration, by the way (I’m guessing there aren’t too many of those going around). In other words, after the judges’ faves are revealed and promoted, the real winners are picked from that bunch in a large blind tasting where consumers decide who gets top honors. That’s awesome.